One of the most iconic art prints from Japan, The Great Wave Off Kanagawa by Katsushika Hokusai is an excellent example of old woodblock craftsmanship and elegant composition. My Download from the LACMA website. Would love to see it in person along with the actual wood block. Having been to Kanagawa myself, Hokusai’s print reminds me that while Japan stands firm like Mount Fuji, it’s people will always have respect for the ocean, because they are always at the mercy of mother nature. “The Great Wave off Kanagawa (神奈川沖浪裏 Kanagawa-Oki Nami-Ura?, lit. “Under a Wave off Kanagawa“), also known as The Great Wave or simply The Wave, is a woodblock print by the Japanese artist Hokusai. An example of ukiyo-e art, it was published sometime between 1830 and 1833 (during the Edo Period) as the first in Hokusai’s series Thirty-six Views of Mount Fuji (Fugaku sanjūrokkei (富嶽三十六景? )), and is his most famous work. This particular woodblock is one of the most recognized works of Japanese art in the world. It depicts an enormous wave threatening boats near the Japanese prefecture of Kanagawa. While sometimes assumed to be a tsunami, the wave is, as the picture’s title notes, more likely to be a large okinami – literally “wave of the open sea.” As in all the prints in the series, it depicts the area around Mount Fuji under particular conditions, and the mountain itself appears in the background. For me, this print is about the beauty and respect that is found through nature; in the sea. Because this print is so iconic, artists continue to adapted or modify it to their tastes. I found a couple videos about this master craftsman and his famous master work. I remember, from my art history days, that Japanese woodblocks helped inspire modern comic book art. It’s impossible not to see the relation. I guess it is true. We should all learn about what’s been done (our history) to help inspire our future. My copy of Hikikomori: Adolescence without END! This is the first English translation of the Japanese best-seller by author/ psychologist Saito Tamaki, first published back in 1998. Our film, American Hikikomori, is about a Japanese teenager who comes to America and becomes a hikikomori because he has problems assimilating to American culture. 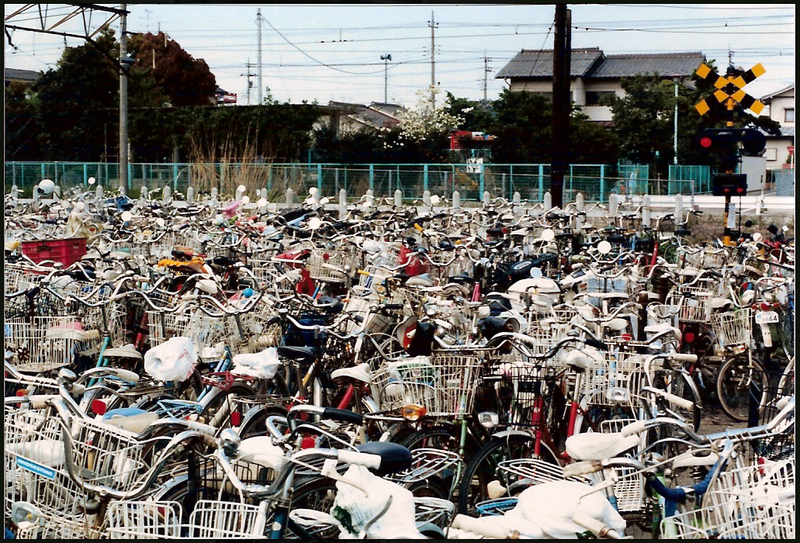 Most of my research for our story was done through talking to Japanese friends who have experience this phenomenon or known of some one who has, in addition to what I could dig up on my own. When I discovered Tamaki’s book (a year and a half ago), I quickly found myself frustrated because there were no English translations available. Thanks to my better half, who found it in a book local store, I have some reading to do. This is the first English translation of a controversial Japanese best seller that made the public aware of the social problem ofhikikomori, or “withdrawal”—a phenomenon estimated by the author to involve as many as one million Japanese adolescents and young adults who have withdrawn from society, retreating to their rooms for months or years and severing almost all ties to the outside world. Saitō Tamaki’s work of popular psychology provoked a national debate about the causes and extent of the condition. Drawing on his own clinical experience with hikikomori patients, Saitō creates a working definition of social withdrawal and explains its development. He argues that hikikomori sufferers manifest a specific, interconnected series of symptoms that do not fit neatly with any single, easily identifiable mental condition, such as depression. Rejecting the tendency to moralize or pathologize, Saitō sensitively describes how families and caregivers can support individuals in withdrawal and help them take steps toward recovery. At the same time, his perspective sparked contention over the contributions of cultural characteristics—including family structure, the education system, and gender relations—to the problem of social withdrawal in Japan and abroad. I’ve never been this excited for non-fiction reading before… maybe I am growing up. If you are putting sugar or honey or anything else in your Japanese Green Tea you are doing it wrong. Note that I’m saying Japanese green tea. There is an abundance of green teas from around the world and many ways to consume them but in Japan, you put tea and water. Nothing else. At a bamboo shrine in Kamakura. (One of my wife’s favorite places near her home town) My bitter green (Matcha) tea and a small sweet candy. You consume both simultaneously to balance the flavor on your taste buds while you sit quietly amongst the bamboo. One of the best scenes from American Cinema (in my opinion) is from The Karate Kid part II. I saw this film when I was seven years old and didn’t know much about anything let alone Asian / Japanese culture. Still, it stuck with me because I felt (now in retrospect) that it was so pure for showcasing this ceremony but also capturing both characters emotions with little to no dialogue. It is a true piece of cinema. Mr. Russo did what a typical American would do. I know because I’ve also tried to be charming at inappropriate moments. If you’ve never seen this film watch part one then part two to completely understand what’s going on. Keep in mind it’s also a classic 1980’s Americana movie. You couldn’t make the movie today and be taken seriously. Also keep in mind these films are made by Americans and are coming from the American perspective of Japanese Karate. They may have taken some liberties on cultural facts and details. The whole reason I brought this up was because of the green tea ceremony. “The Japanese tea ceremony developed as a “transformative practice”, and began to evolve its own aesthetic, in particular that of “sabis” and “wabis” principles. “Wabi” represents the inner, or spiritual, experiences of human lives. Its original meaning indicated quiet or sober refinement, or subdued taste “characterized by humility, restraint, simplicity, naturalism, profundity, imperfection, and asymmetry” and “emphasizes simple, unadorned objects and architectural space, and celebrates the mellow beauty that time and care impart to materials.” “Sabi,” on the other hand, represents the outer, or material side of life. Originally, it meant “worn,” “weathered,” or “decayed.” Particularly among the nobility, understanding emptiness was considered the most effective means to spiritual awakening, while embracing imperfection was honoured as a healthy reminder to cherish our unpolished selves, here and now, just as we are – the first step to “satori” or enlightenment. 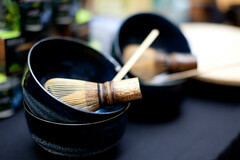 Murata Jukō is known in chanoyu history as an early developer of tea ceremony as a spiritual practice. He studied Zen under the monk Ikkyū, who revitalized Zen in the 15th century, and this is considered to have influenced his concept of chanoyu. For a more in depth look, follow these links to these informative videos. I would’ve embedded them but WordPress is being difficult with their embed settings. 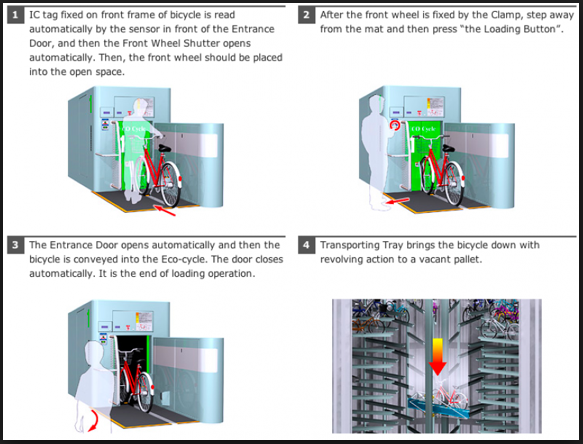 Underground Parking… For Bikes? Yes, Please! 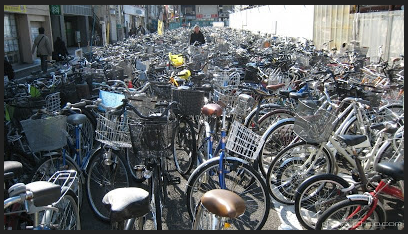 We should always applaud people and cultures who reduce our greenhouse gas emissions and practise healthy modes of transportation like the bicycle but what about parking? 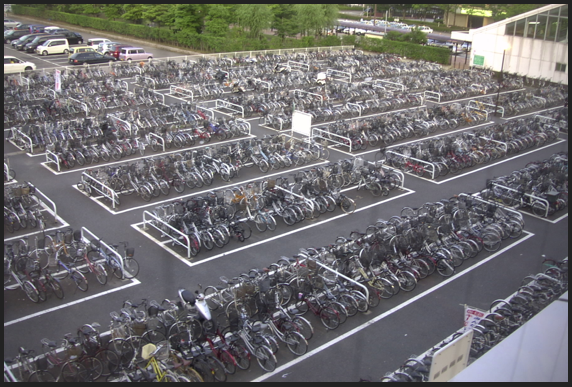 …and yet another parking lot. 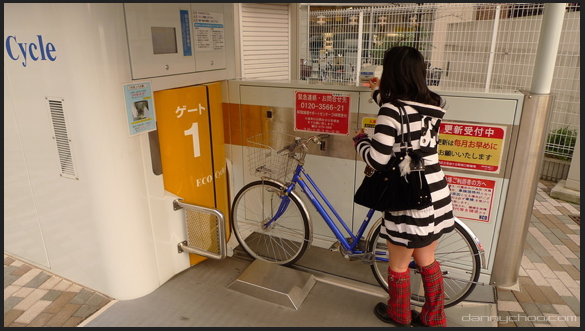 Enter the Underground Bike Parking Storage system. C’mon, Look at how much space this saves! If you need a better idea of these futuristic and practical storage facilities, check out this video from “Tokyo Storm Trooper” also known as Danny Choo. 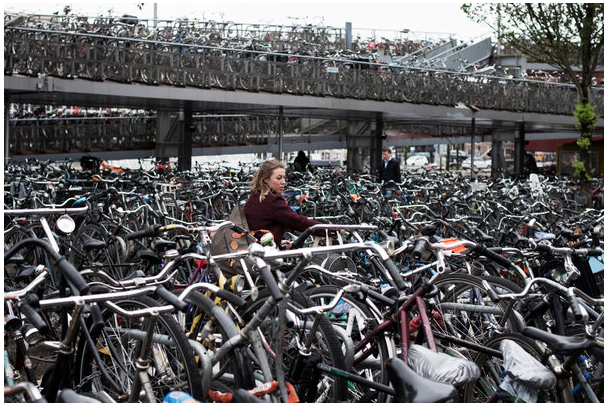 Amsterdam has more bicycles than people, and although it has thousands of bike racks, demand for them still outstrips supply. What do you think? Cool? Or am I just a lonely geek? Could be both, I’m not offended. 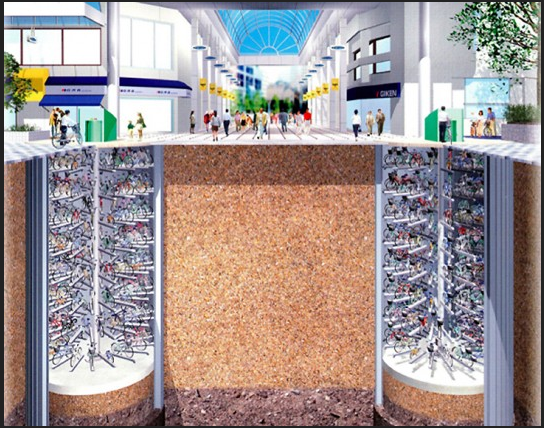 Author hikikomori78Posted on August 4, 2013 August 2, 2013 Categories Japan, UncategorizedTags Amsterdam, dannychoo.com, Facebook, Japan, Los Angeles, New York, San Francisco, Tokyo1 Comment on Underground Parking… For Bikes? Yes, Please!